The nations capitals leader in virtual and on demand officing. The leader in shared, on-demand, temporary, long-term and virtual office solutions for office space in Washington DC - OSI Offices - has opened two new office suites at 1627 K St NW – in walking proximity to its 1629 K St NW flagship offices; just three blocks away from The White House. This enhanced offering for existing and new OSI Office clients provides a plethora of options to conduct business at all hours for those that wish to run things on their terms. These expanded shared on-demand office locations in the heart of Washington DC for OSI Offices are ideal for the client-base consisting of lawyers, mental health professionals, entrepreneurs and more. OSI Offices leads the DC area for virtual office space services by providing advanced technologies for clients to both use online and at physical locations. In these new suites at 1627 K St NW, OSI has pioneered a low-cost, highly-automated, sleek office arrangement to combine great location, attractive appearance, low maintenance, economical full-time officing support. The proximity of this suite to OSI's leading on-demand facility at 1629 K St gives clients great options and flexibility -- full time officing with an on-demand adjunct arrangement, growth space for current on-demand clients, downsizing when needed, flexible conference room options, and more. These K Street NW Washington DC office locations are great for businesses running operations globally, thereby, to secure a virtual office space address and utilize the physical offices, conference rooms and spaces available when needed through on-demand services offered by OSI Offices. The full suite of services offered by the longest operating shared office provider in Washington DC does not stop at virtual, on-demand, and conference room options. OSI is further extending its weekend officing support to mental health professionals who have been clients for six months or more, and have a need for additional office on-demand support. Mental health care is taken seriously by OSI Office with services available seven days per week for clients in the Washington DC area by members offering hours on the weekends. Mental health is a seven-day, non-stop medical concern with the need to continually support, improve and enhance thinking for the benefit of all patients. OSI Offices understands the sensitive nature that mental health treatment requires for each patient to receive the attention, on any day of the week that it is needed. The team at OSI Offices has been providing top-tier mental health office space services in Washington DC for over 30 years, with a focus on a white-glove treatment for each valued client. The seven-day service offering for mental health business owners and operators at the flagship office locations on K Street in Northwest DC differentiates OSI Offices from the rest of the shared offices competition! OSI has been entertaining requests for the extension of its operating system to several other locations. One of the possibilities which OSI is willing to consider is turn-key operation of a business center on behalf of a building owner / investment group. The OSI operating system (OS) is ideal for building owners that are searching for a commercial-off-the-shelf (COTS) solution to meet their property management requirements. OSI Offices has developed a customized operating system for managing commercial office space, providing access to offices 24 hours a day. The OS is flexible, robust and perfect for commercial real estate owners that want to deploy software to run their property under management. Inquiries are welcome. OSI Offices, in conjunction with Implied Marketing of Washington DC, are launching a series of on-demand marketing educational classes for attorney, mental health, and professional clients of OSI Offices. These digital marketing education classes are 30-minutes in length and provide a high-level overview of how small to medium businesses can utilize best practices for websites, advertising, marketing and automation throughout the intake funnel as traffic is generated. Business owners such as lawyers, mental health professionals and entrepreneurs are all vying for space online, to be noticed and create traffic to fuel their cash-flow needs. Even non-profits need solid marketing to present their cause online, create communities for activism and deliver results to bring about serious change. Digital marketing is a requirement for any business’ success, especially for those fledgling enterprises that want to leverage the power of the internet. Implied Marketing is hosting a series of educational seminars at the K Street OSI Office locations covering search engine optimization (SEO), pay-per-click (PPC), website best-practices, content creation, and many other must-dos to survive, thrive and lead in today’s competitive business landscape. Running any business, regardless of size and location, requires a robust set-up to present the online persona for acquiring new customers, conducting business operations and delivering on the corporate culture. OSI Offices is further extending its networking arrangements among its 1,300+ clients, who include numerous legal, healthcare, IT, consulting, and other entrepreneurs and professionals through a maker-oriented gathering of the minds at its K Street locations for various events. To contact OSI Offices, please visit us here. 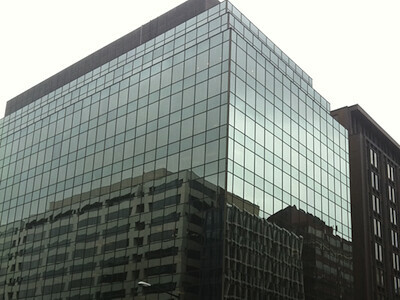 OSI Is Defining the Inexpensive Office Space Market in Washington D.C.
OSIOffices.com is offering cheap office space in downtown Washington D.C. locations that is sure to impress clients – without breaking the budget. Their co-working, virtual, and shared office spaces are ideal for lawyers, entrepreneurs, & many more. 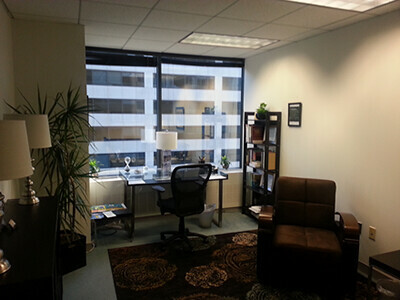 (Newswire – Washington, D.C.) – November 6, 2013 — Finding affordable office space in a desirable, downtown location has traditionally been a painstaking and expensive task. While housing and commercial real estate prices have fluctuated in countless regions across the nation, cities such as New York and DC have been exempt to such variations and decreases. Landlords in these districts realize there is little incentive in lowering their prices; these properties are highly sought after and lie in world-renowned, established centers of business. While this may sound discouraging if you are among the tens of thousands of small business owners residing in the DC-metropolitan area, have no fear, there’s a new model on the horizon which is delivering convenient, inexpensive workspaces to companies of all sizes. While it’s certainly hard to argue with custom tailored shared office space pricing and the swanky downtown locations, these aspects are meaningless without the ability to actually accomplish work. This is the area in which OSI really strives to exceed the expectations of their clients. Their suites, also referred to as “virtual offices,” are stuffed full of technological features, in addition to the many standard amenities that more seasoned, less tech-savvy businessmen are accustomed to in an office setting. Heck, you can even get faxes converted into email ready, digital formats if time is of the essence; did we mention this is all completely automated? Whether you refer to them as shared, virtual, or short-term offices, these instruments are a godsend for any large or small business owner who isn’t committed to spending a fortune on their workspace. This modern interpretation of the workplace has created opportunity and sanctuary for all types of ventures, from infant startups to planted corporations, and won’t be disappearing any time soon. Look for more of these locations to pop-up as popularity grows and businesses thrive on this revolutionary and economically feasible invention. OSI Offices has been serving the Washington, D.C. metropolitan area for over 30 years; we pride ourselves on being some of the most flexible and efficient shared office space in the area, with clear “no-contract” pricing. OSI provides the perfect blend of temporary, virtual, and shared support services desired to help you start, grow, maintain or expand your organization. For many of us, an office is more than just a place to work. People in the United States work more than anyone, and for entrepreneurs and business owners, an office serves as a second home, especially in Washington D.C. Commercial offices in D.C. are a common ground for collaboration, communication, and most importantly, face-to-face interaction; choosing the proper workspace can be an extremely difficult, stressful, and expensive decision. However, new business instruments are on the horizon; companies such as OSI Offices in Washington, D.C. have taken the sting out of office leasing by offering high-end shared office space without the traditional long-term rental structure. These office suites, commonly referred to as “virtual offices,” are fully functional workspaces, which include receptionists, mail sorting services, Internet accessibility, email, fax machines, copiers, and computers – all on-site. Virtual offices in D.C. are becoming increasingly popular, as more and more individuals telecommute for work and will not require full time office space. Organizing meetings out of Starbucks and cookie-cutter conference rooms is no longer welcomed in today’s business world, and conveys neither the personality nor authority desired during the business development phases of sales, marketing, etc. It is critical to create a lasting impression with clients and coworkers; selecting a shared office space in Washington D.C.within a recognized business district will further solidify your brand as a force to be reckoned with. Shared office space conveys both of these concepts in an affordable, seamless manner; providing a business oriented workspace that is tantamount to the product or service offered by your company. Say “goodbye” to the days of fixed-term leases offering small services and large overhead. Companies such as OSI Offices have changed the business battlefield by providing high-end shared office space with amenities that even the geekiest of tech firms can appreciate. The modern-day “office” is moving to our living rooms; but don’t expect the formalities of business to yield in the wake of this pattern. Professionally cover all the angles and focus on the critical tasks necessary to excel your business; opting for shared office space might be the necessary path to unprecedented levels of success. OSIOffices.com, a premier virtual office space in Washington D.C. provider for businesses, start-ups, & entrepreneurs, makes the dream, of owning a downtown office, an affordable reality. OSI is the best choice for any business requiring virtual offices. What Is A Virtual Office in Washington D.C.? A virtual office, also referred to as a shared office, provides many of the same resources found at a large firm. Amenities such as copiers, fax machines, high speed internet access, office staff, executive suites, and computers are typically included. The concept is very similar to that of a virtual workspace, where applications and files are synched to a remote workstation; the same principle applies to the virtual office. Companies such as OSI Offices, providing virtual offices in Washington D.C., have recognized the need for such services, and are bringing dreams to fruition by providing clients with alternative solutions to commercial real estate leases. Such solutions drastically reduce overhead and liability, and serve as excellent places for meetings and collaboration among varied business interests. Virtual office space can be extremely beneficial to both small and large business owners; especially if positioned in a central business district. We asked the CEO of OSI Offices, Jack Pearce, for comment regarding the importance of location when searching for a virtual office, to which he replied; “An office says a lot about the representation of a given business. In the eyes of a first time client, an office, and its respective location to other businesses of importance, greatly influences the overall “first impression” associated with a company.” Location is critical to success, and alone provides unique advantages in terms of local resources, relationships, and opportunities. OSI Offices in Washington D.C. understands the flexibility requirements from start-ups, accelerators, and for established companies that run distributed workforces. Consider a 21st century approach with resources on-demand. A virtual office in Washington D.C. which provides fiscal flexibility, a memorable location, and a slew of corporate grade tools, and is a sure-fire compromise that is proven to help start-ups, businesses, and entrepreneurs thrive.